My b-day is coming up soon and I want to book a fishing trip for next spring/summer. I know it's kinda early - lol. But I want to get a head start on my research and to be honest I love to dream about going away with the guys and fishing til we drop. So, I would love it if you could suggest some places to book a trip? 2. Target species - Pickeral and Pike are the main targets. Other species would be a bonus. I look forward to all of your suggestions!! Lots of outfitters on lake nippissing (south shore) and calendar bay. Plenty of good fishing there also. Anyone else have any suggestions? Or is my request too broad? Just look at any one of Moosebunk's reports and do the same. 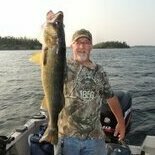 Black Creek Outfitters.....very reasonable, and good walleye fishing on both Aubrey Lake and Rocky Island Lake. Lots of speck lakes near by too! New owners...clean and fair. 7 hrs tops from T.O. 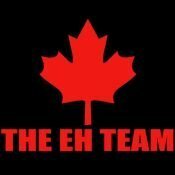 It's on hwy 129 less than an hour north of Hwy 17 @ Thessalon (1 hour east of Sault Ste Marie) Good luck! The pike and walleye part is easy enough. The 12 hour drive is easy enough. The real questions is, what do you really want to do for accommodations, and what are you willing to spend to do it? Because really, the question is like you guessed, too broad. 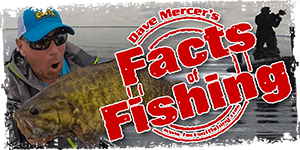 Depending on how many fish or how easy the fishing is expected is how your question should be addressed and of course how much you are willing to spend. BTW the rates are very reasonable and the host are very good at making you happy ! ! ! try goldeneaglecamp.com near elk lake. if you have any questions, i will be glad to help. Ivanhoe is a good spot. Fished it this July while staying at the Provincial Park there (awesome park btw...free boat "beaching"). Fishing was good considering the unsettled weather we had. Lots of Pike in the 5lb range and 14-18" eyes at night and early morning. I'll go back. Apparently there are many lakes within a short drive where the fish is even better. There's also a nice lodge up the road from Ivanhoe where I got my bait but I forget the name? Also, Ivanhoe lake Prov. Park actually has a few smallish cabins they rent....I'm sure you'd have to book which means pay for them now. Thanks everyone for your suggestions. I'm just looking for a nice get away where catching fish is fairly steady and I can bring home some fish for my two little girls. They love fresh fish! Cost is really an issue, but I'm not looking to do a fly-in this time. Definitely in the future though! I don't plan on spending much time in the cottage/camp anyway. I will be on the lake from sunrise until the night.